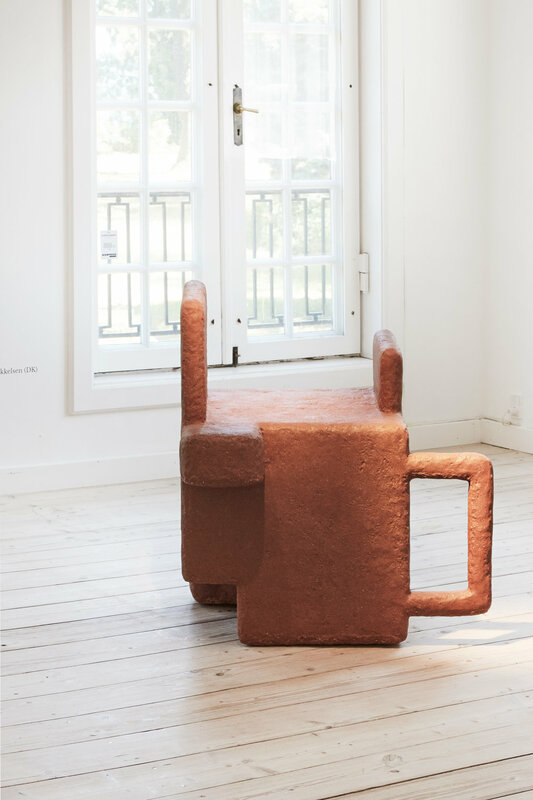 A chair that looks like a hard square rock, but invites you to sit in several different angles. Three narrow wood beams that question how they are perceived due to their surface and context and a shelving cabinet made out of translucent plastic that seems to dissolve instead of storing books. These are just a few of the twenty pieces that you'll find at Munkeruphus until the end of August. 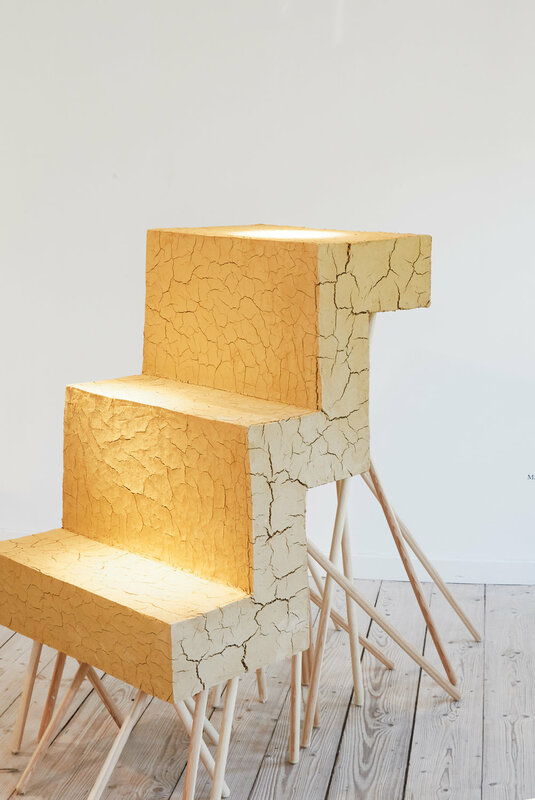 The three Danish designers, Maria Bruun, Rasmus Bækkel Fex and Jens Dan Johansen, are the founders of the RE F O R M Biennale which celebrate their third exhibition this year. The principal ambition of the Biennale is to challenge the established and push the boundaries for new ways to explore, transform, question, rethink and develop the field of design. More than 20 designers and artists from around the world have asked themselves this question. The result is on show at Munkeruphus - carefully selected from the pool of 146 applicants by the jury of Munkerupshus curator and director Line Kjær, CEO of Swedish furniture manufacturer Källemo, Erik Lundh, and the editorial duo behind online magazine Sight Unseen, Jill Singer and Monica Khemsurov. The works on show are both crafty and slick. Heavy and light. Curious and open-minded. But most of all they are ways of interpreting how we perceive and understand design and how we can develop our traditional understanding of it. How functional, how aesthetic and how conceptual you can get. The pieces are both on display inside the historical and charming villa and in the garden, where nature, the view of the sea and the welcoming architecture of the place soothe and enrich your visit. Munkeruphus is a former country house in a landscape ground, close to the Øresund coast, between Dronningmølle and Gilleleje. Munkeruphus was built in 1916 for civil engineer Frederik Raaschou and his family by the two young architects Terkel Hjejle and Niels Rosenkjær. A rare example of American Art and Crafts influence in Danish architecture, the building now serves as an exhibition space, a café and a small gift- and bookshop run by the Munkeruphus Trust. In 1958 it was acquired by artist and designer Gunnar Aagaard Andersen and his wife. 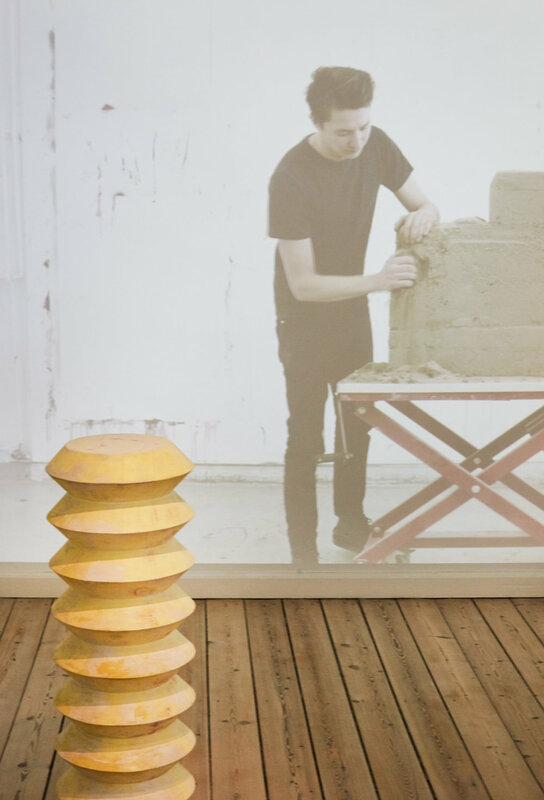 Aagaard had previously lived in France from 1946 to 1951 where he had co-founded Groupe Espace, a collaborative between artists and architects who worked with spatial art, and he made it the centre of an active artistic environment with many visiting colleagues visiting from abroad. In 1986 it was purchased by the Capital Region Authority and subsequently listed by the Danish Heritage Agency. For a few years it was left empty but in the autumn of 1988 it was ceded to a foundation with the aim of transforming it into an exhibition space for changing exhibitions. It was renovated with support from private benefactors and opened the doors to its first exhibition in 1989. The garden at Munkeruphus is 5 acres with winding paths, great old trees, open lawns and beautiful views through a gully and down slopes to the beach. The view from the beach reveals the hills of Kullen in Sweden, the lighthouse at Nakkehoved, and Hornbæk.